« Quince Tree: why is its bark peeling off? 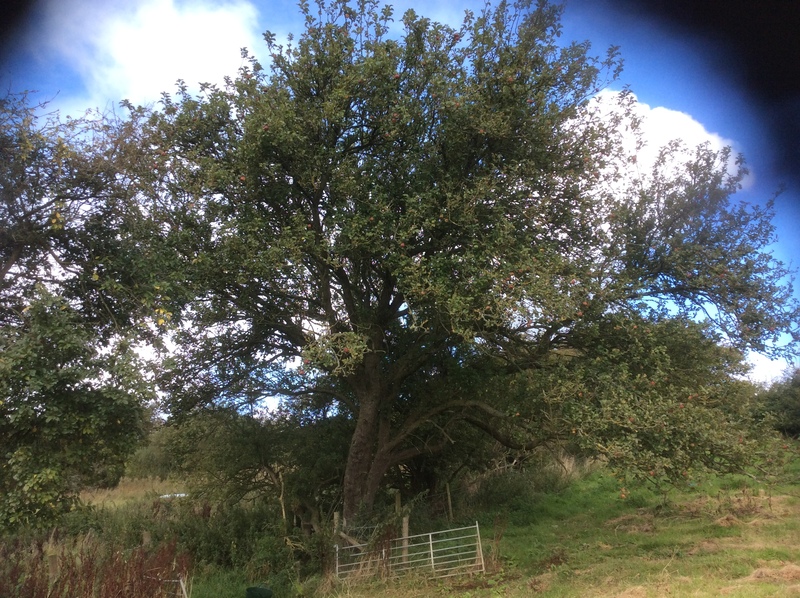 I have five old apple trees growing on the edges of my replanted orchard. I believe they are the remains of a much older orchard probably planted in the 1850’s or 1860’s. Three of the trees are Yorkshire Cockpit, still prolific croppers, and two are unidentified. All the trees are enormous, the size of parkland trees, and far larger than anything that could be manageable in a productive orchard. I assume that at least three of these trees and probably all, are grafts and not seedlings. Does anyone know what rootstocks were likely to have been used for these trees and if they were intended to be this vigorous? Sounds like they could be on M25 or MM111 which are traditional orchard size rootstock. Although as you said difficult to manage, lovely to see such large trees about. I wonder if they have ended up being rooted on their own roots rather than the original rootstock? Considering their age and size I’d suggest they’re probably on seedling rootstock rather than one selected for any particular vigour. If Nick Burr’s apple trees date back to the 1850/60’s, I’m not surprised they are so large. He can enjoy the thought that, if they eventually become top heavy and fall over but keep some roots in the ground, they will probably, if he allows them, take on a new lease of life and continue to crop for many more decades. This is happening in my orchard with a fallen Newton’s Wonder and a Bramley’s Seedling of about the same vintage. Regarding, rootstocks, before the days of clonally propagated rootstocks such as the Malling and Malling/Merton series, there is a good chance that they were seedlings, grown from pips extracted from apples pressed for cider making or chance crab apple seedlings dug from local hedgerows. This may depend on locality however. Up here in Yorkshire, there appears to have been little cider making activity, perhaps, due to the presence of a strong Methodist ethic. I was told by one old farmer that his family grafted good eating varieties onto crabs growing in hedgerows next to the arable fields, so that there would always be fruit on hand to quench the thirst of toiling harvesters. Most apples do not root easily from cuttings, hence the need for grafting but some, often know as ‘Burrknots’ do, since they have ‘burrs’ on the stems which readily produce adventitious roots, enabling detached small branches readily to take root. I have known these to be used as rootstocks. Modern rootstocks root readily either from cuttings or layers. Seedling rootstocks are variable in vigour, imparting this to the grafted trees. Most are vigorous but they can also be quite dwarfing, useful characteristics now perpetuated by clonal propagation, giving us the means to produce trees in a range of sizes. ‘Apples – These are worked on selected Crab Stocks for growing as Standards for Orchards,as Espaliers, Pyramids and Bushes for Gardens. On this stock, trees grow vigorously and are preferred for planting in large gardens, orchards, &c.